Media Savvy, Media Success! 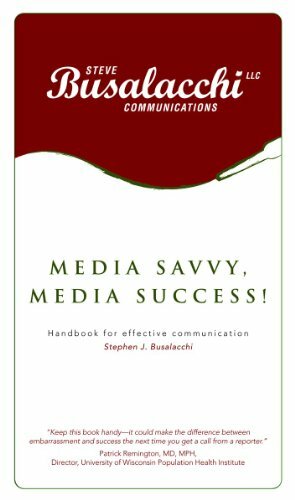 by former public radio reporter Steve Busalacchi is a quick primer that helps people perform optimally when interacting with the news media. "Keep this book handy--it could make the difference between embarrassment and success the next time you get a call from a reporter."